Alpha Phi Alpha has been honoring Martin Luther King Jr. with a candlelight vigil for nearly three decades. SPECIAL TO THE ORACLE. To commemorate the “I Have a Dream” icon, members of the Alpha Phi Alpha fraternity are organizing a candlelight vigil to keep Martin Luther King Jr.’s (MLK) remembrance alive. 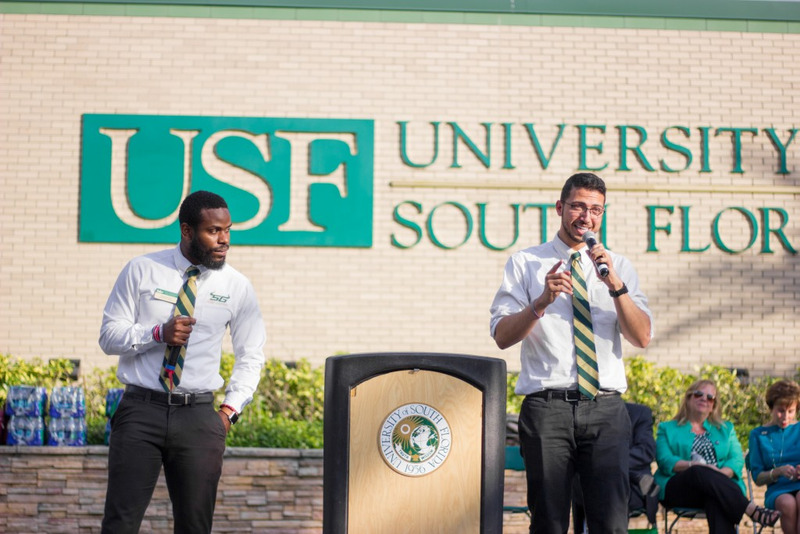 On Wednesday from 6 p.m to 8 p.m, the candlelight vigil in MLK Plaza will include two performances from USF students, a guest speaker and a candlelight march. Refreshments, as well as electric candles, will be provided. The vigil is a part of “MLK Commemorative Week,” which pays homage to King through a series of events from Jan.18-25. Alpha Phi Alpha President Qua'on Thomas said hosting the event is a privilege in itself since King serves as a distinction for the fraternity. According to Watch the Yard, King was inducted into Alpha Phi Alpha in 1952 at Boston University. “The chapter sees hosting this event as both an opportunity to honor a brother but to also continue to uphold the legacy of a hero in the African-American community,” Thomas said in an email to The Oracle. The guest speaker for the vigil is Bruce Gelin, a 1997 Alpha Phi Alpha initiate. Thomas said he will share what it meant for King to "persevere under pressure" and how that is interpreted in today's society. According to Thomas, about 50 to 75 people are expected. “We hope to reach those outside of our usual crowd due to our collaboration with the Office of Multicultural Affairs as a part of MLK Jr. Commemorative Week,” Thomas said. The vigil has been hosted by Alpha Phi Alpha fraternity for approximately three decades. 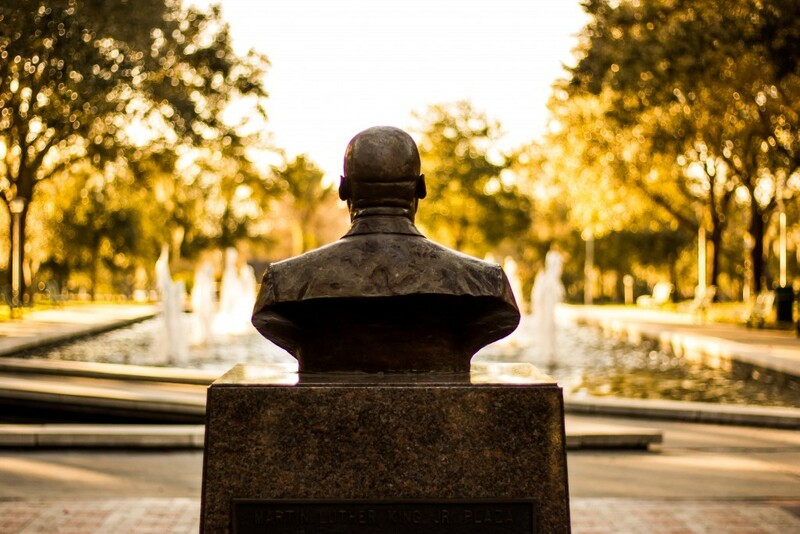 The first event was conducted in the early ‘90s when the MLK bust was installed in the plaza. The MLK bust was a project done by the Black Student Union and Student Government and was ultimately created by Linda Ackley in 1982, according to the Marshall Student Center website. The bust has an inscription of King’s “I Have a Dream” speech, as well as five granite bands on the ground that direct to cities that served of importance in his life. The bust was re-created in 1995 to incorporate his shoulders and chest and to be parallel to King’s actual height. Thomas said the goal of the fraternity is to bring people in the USF community together and to not only appreciate our present-day society, but also the dedication and sacrifices previous generations made. “(This event) is a small gesture that shows we as a community are still appreciative and committed to Dr. King's dream,” Thomas said.